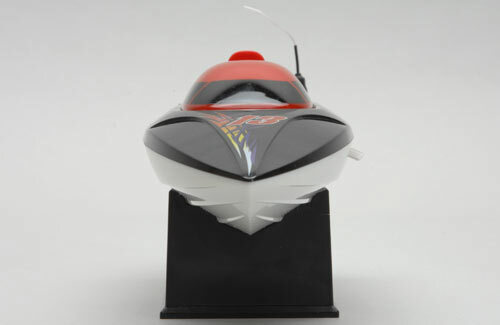 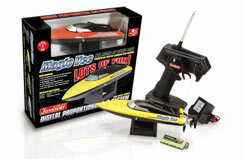 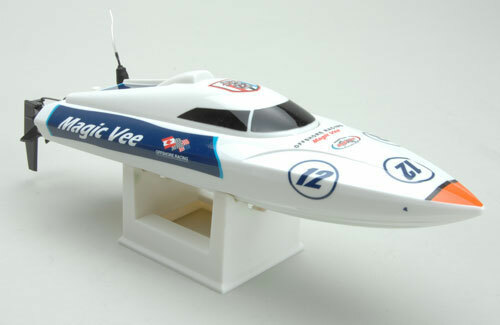 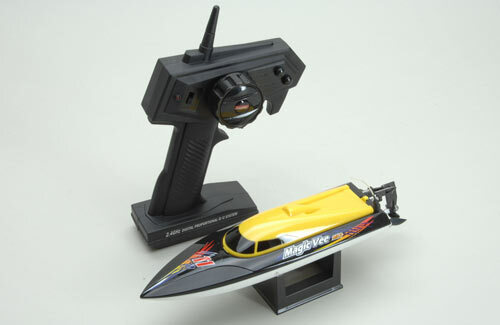 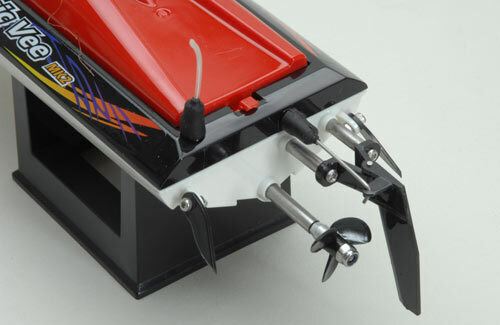 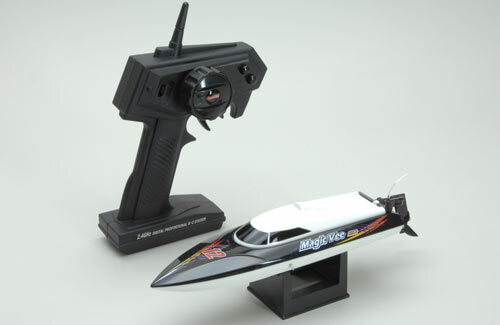 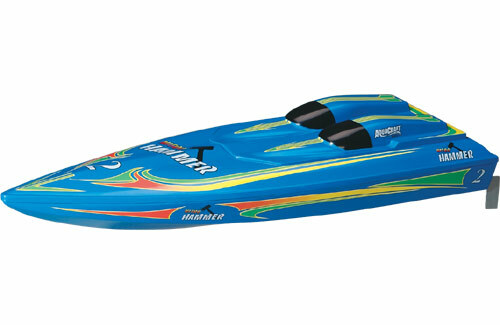 Superboat thrills - race-anywhere size! 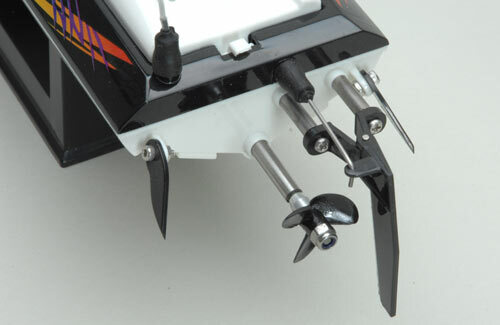 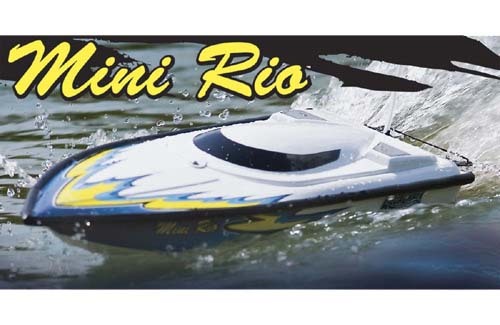 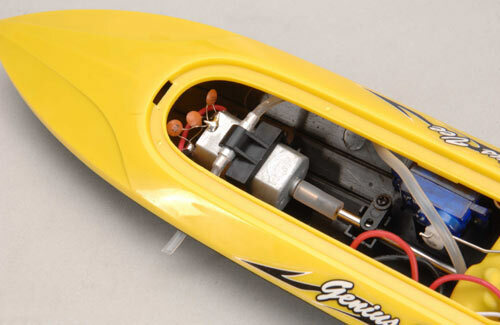 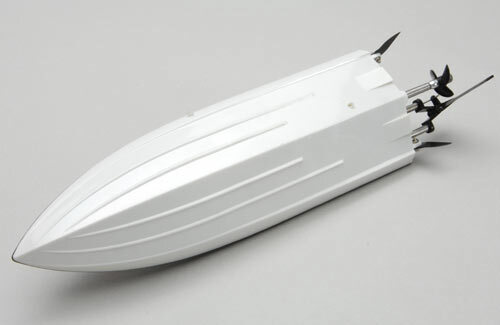 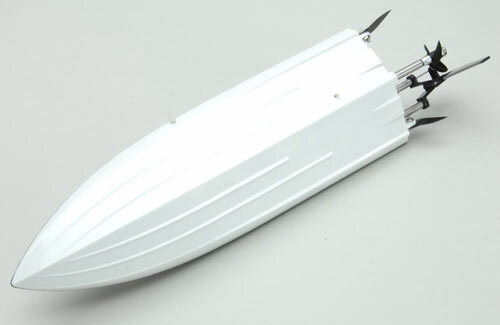 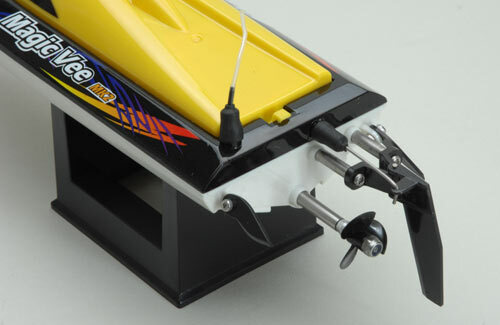 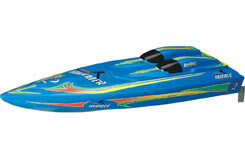 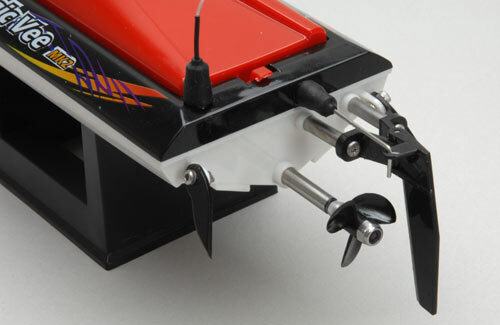 Perfect even for small ponds, the Mini Rio makes it easy to make waves. 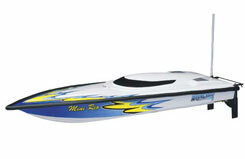 It's low-priced and ready-to-run, with sturdy ABS construction and a watertight, low-maintenance design. 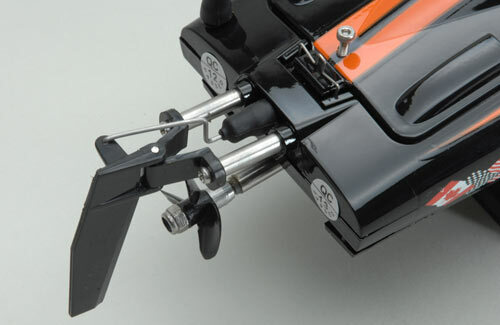 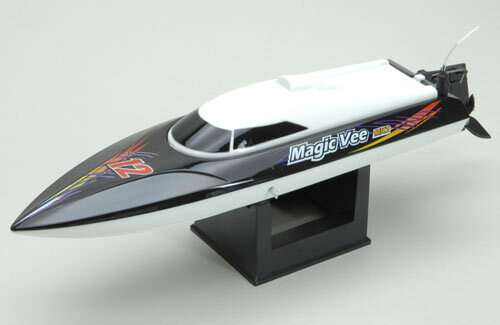 There's plenty of sizzle in the Superboat styling to turn serious racers' heads...plus a Dual Wedge rudder that delivers precise turning power for an untouchable edge! 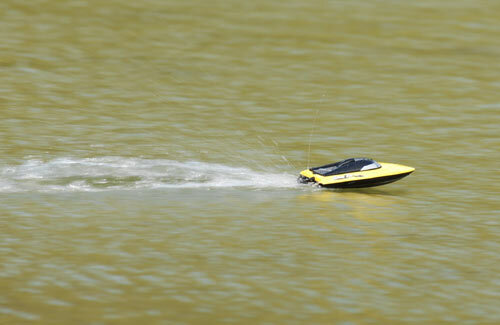 Ready-to-run, no building required. 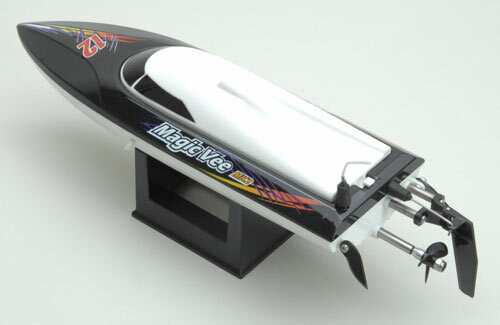 Despite its diminutive size, the brilliant Magic Vee reaches a high speed of 20km/h with its powerful water cooled 180 size motor! 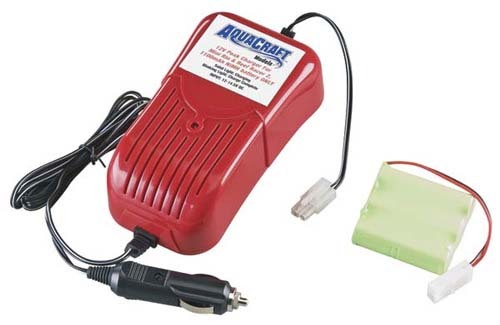 Offering Includes an AC Charger (for 7.2V Power Pack) and a 9V Dry Battery (for Transmitter). 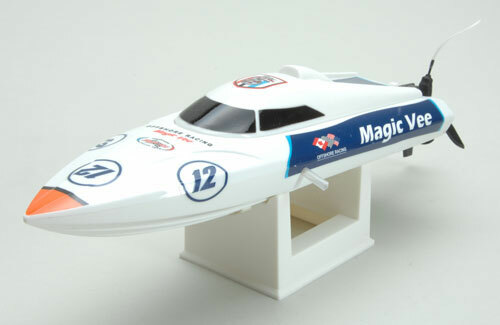 Outstanding value for money. 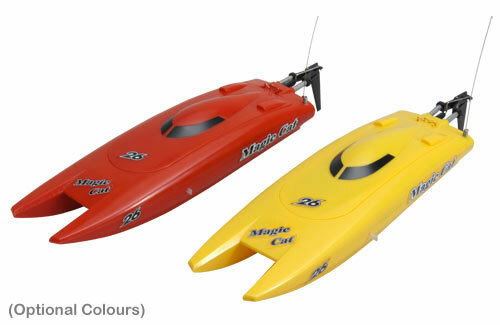 Buy two and enjoy some exciting pond racing with a friend! 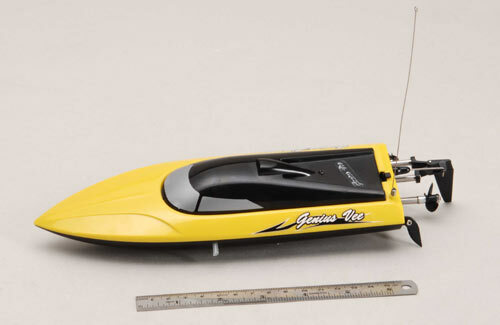 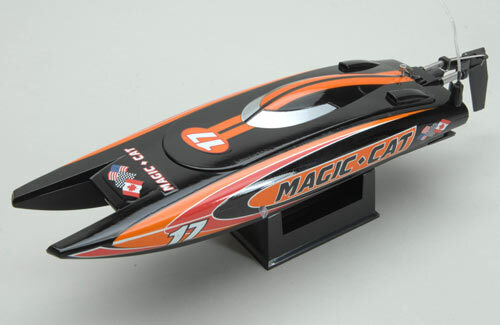 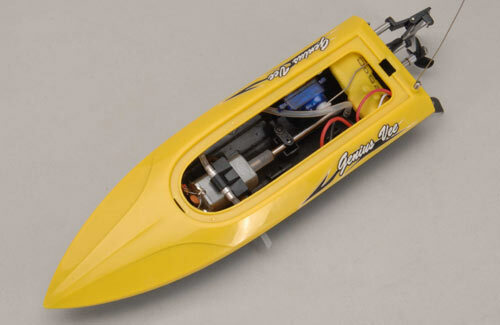 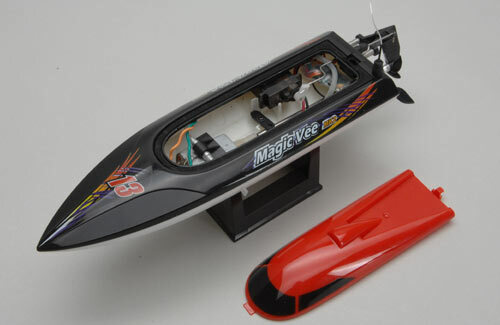 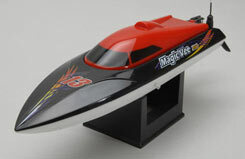 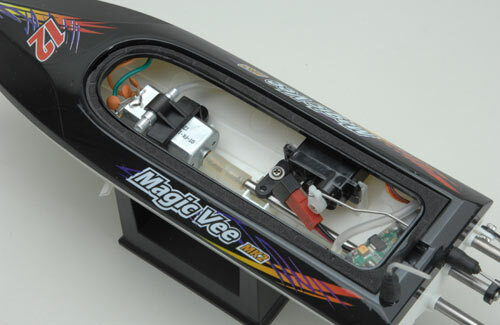 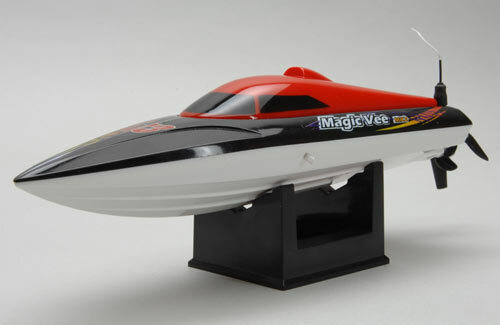 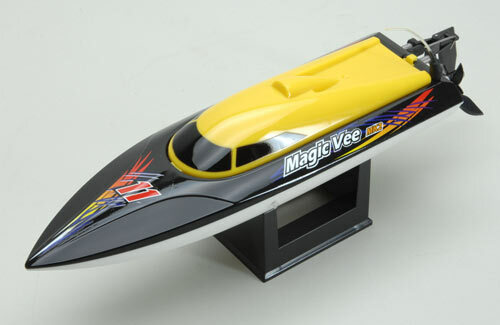 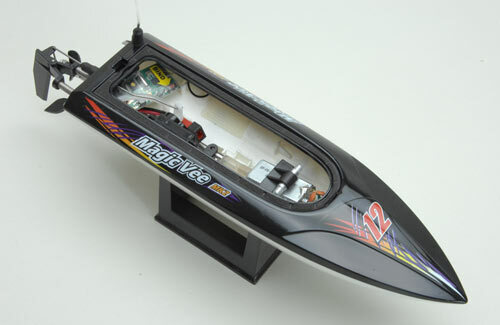 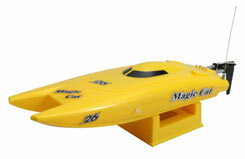 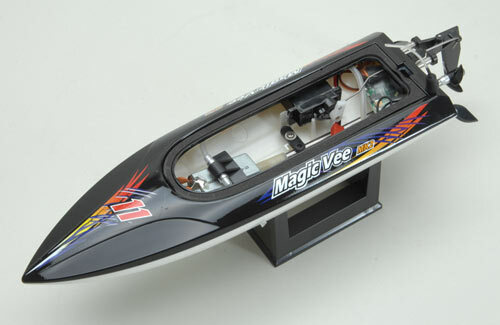 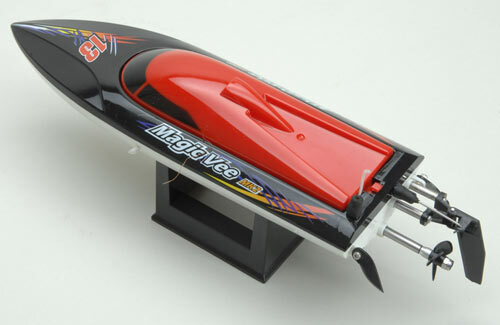 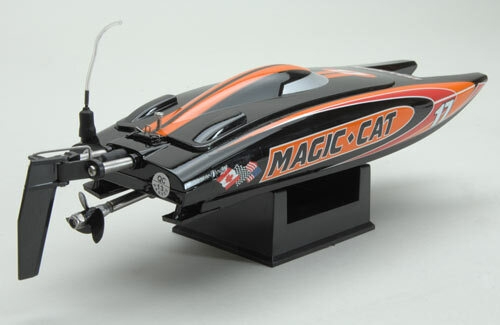 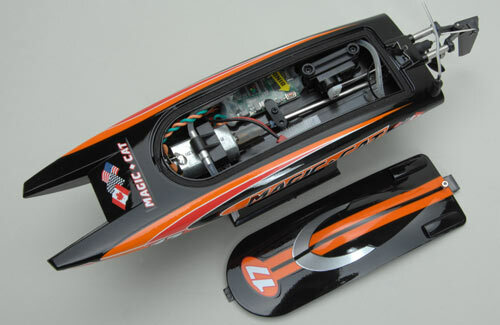 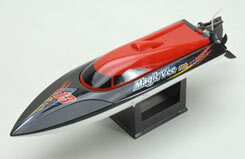 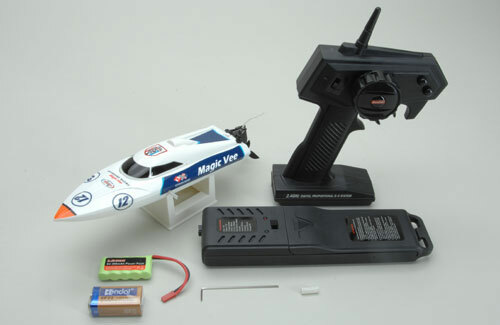 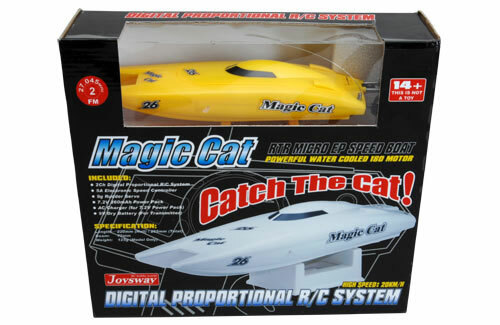 Hot on the heels of the brilliant Magic Vee micro racer from Joysway is the exciting new Magic Cat! 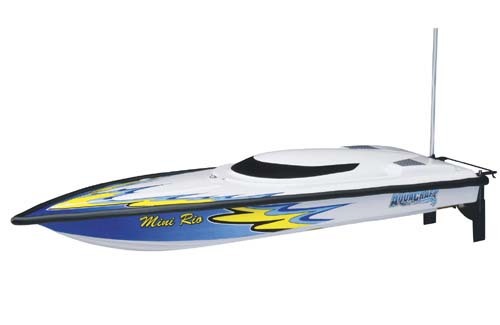 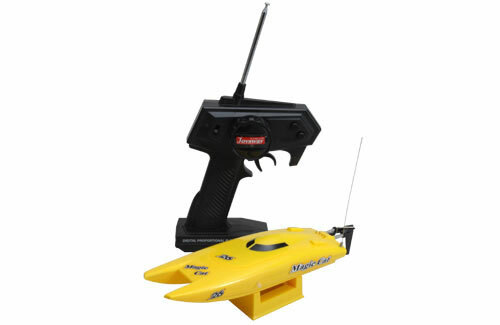 Despite its diminutive size, this mini marvel is capable of reaching an amazing 20km/h with its powerful water cooled 180 size motor! 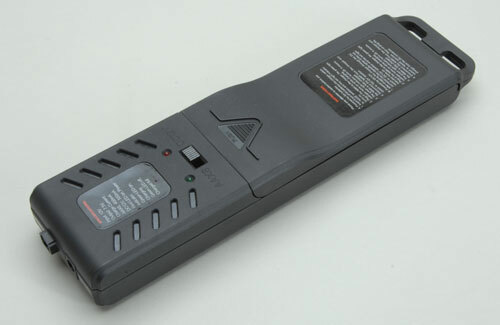 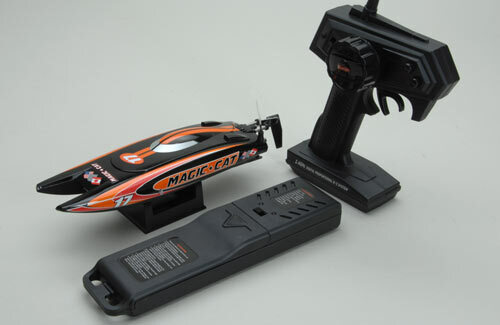 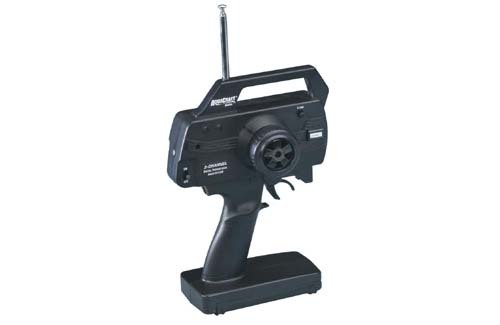 Includes a mains operated AC Charger (for 7.2V Power Pack) and a 9V Dry Battery (for Transmitter). 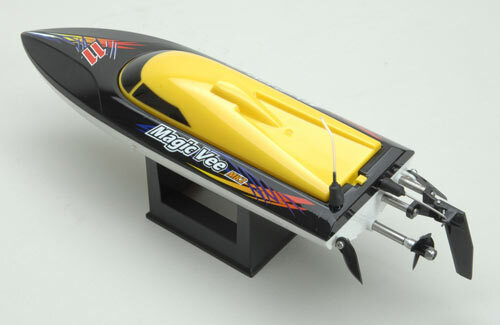 Despite its diminutive size, the brilliant Magic Vee reaches a high speed of 20km/h with its powerful water cooled 180 size motor! 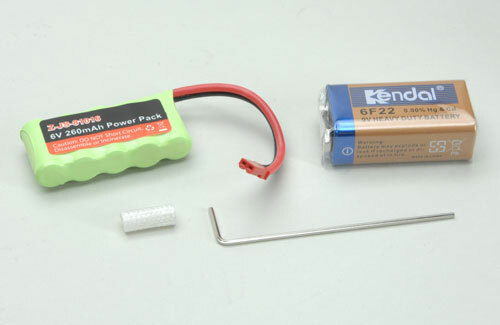 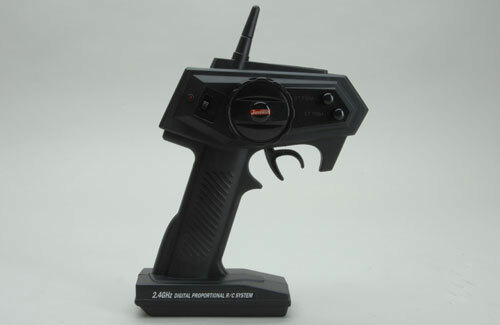 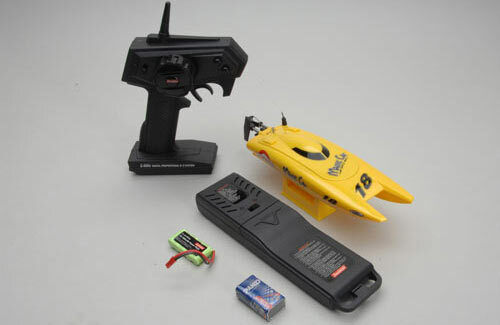 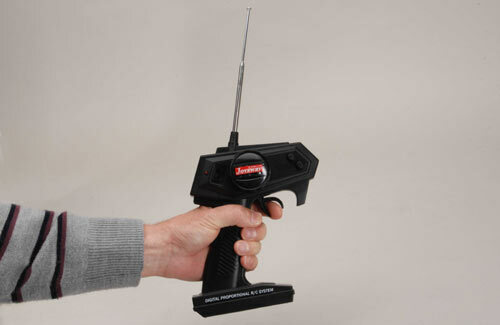 Offering Includes a Charger (8xAA batteries required) and a 9V Dry Battery ( for Transmitter).